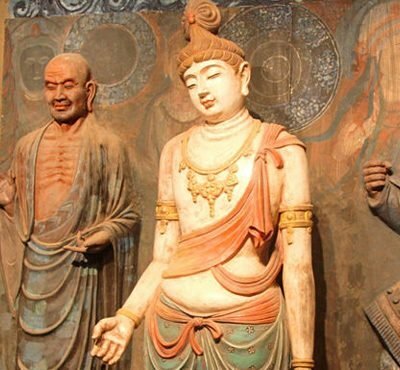 For centuries Gansu was a vital trade corridor between China and Central Asia. 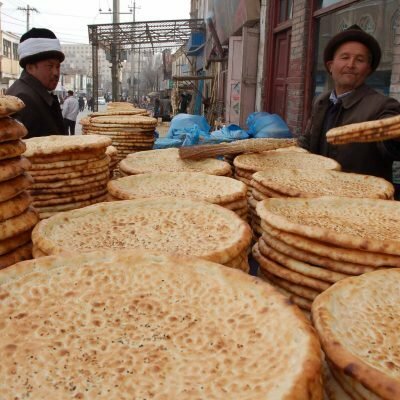 From Lanzhou a 1200-kilometer section of the Silk Road stretches through barren desert in the shadow of the Qilian Mountains to modern day Xinjiang – this is the Hexi Corridor. 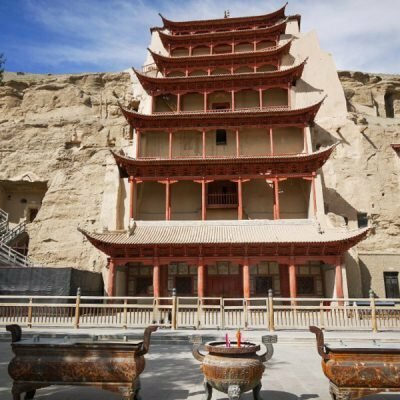 As proof of all the trade along this route, you will find numerous ancient monuments scattered along the entire Silk Road – temples buried in cliff faces, monasteries, pagodas, towers and ancient palaces. This area also holds the western most part of the Great Wall of China. 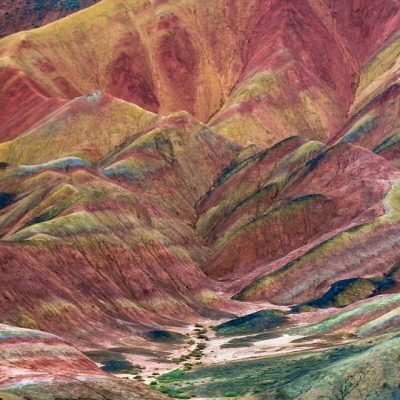 This valley was once the sole western passage in and out of the Middle Kingdom and even today there is nothing else in all of China like this place. This is China like you have never seen it! Our program takes participants through the remote regions of Amdo Tibet into the high grasslands and monasteries that are the heartbeat of Tibetan nomadic culture. Eat a cup of tart yak yoghurt, walk under the tall golden spires of monastery halls and giant Buddhas, and trek through rugged mountains to discover how nomads have kept their ways alive for centuries in the midst of an often unforgiving high-altitude environment. With the opportunity to stay with nomads, we’ll have insight into their daily routines and learn to appreciate the richness of their culture. From the wild grasslands of Amdo Tibet we will then head to Zhangye, Jiayuguan, and Dunhuang. These are desert towns of western Gansu Province and they were important arteries for trade along the Hexi Corridor of the Silk Road. 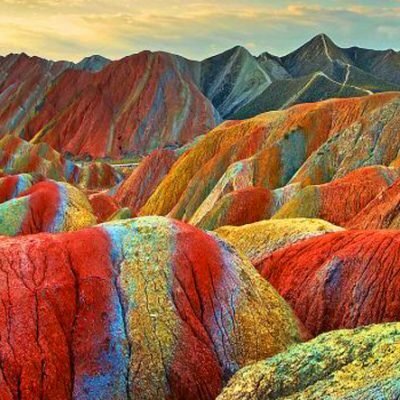 See the rainbow striped mountains of Zhangye Danxia National Park and explore the westernmost section of the Great Wall in Jiayuguan. Much of this section of the Great Wall has been entirely covered by drifting desert sand but there still remains a few exposed sections that still whisper rumors of conquest and empire. 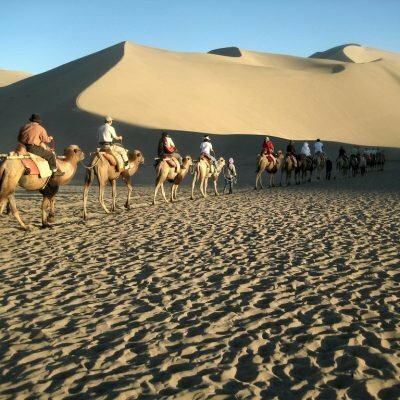 Next we will have the opportunity to take a camel ride in the desert and stroll through the lively night market of Dunhuang as you watch the traditional art of Chinese paper cutting and block painting. 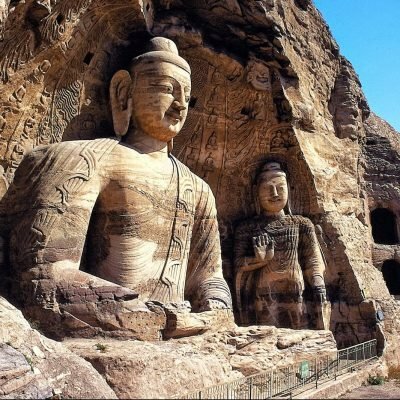 We will end our tour in Gansu’s best grottoes as we walk into the hidden caves of the mystical Mogao Grottoes to see ancient Buddhist cave paintings in the sandstone cliffs of the desert. This tour is a must for culture and art buffs! 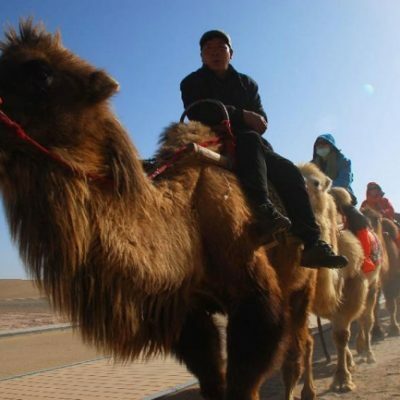 From wooly yaks to regal camels, this tour really hits all the best monasteries and scencic spots in all of Gansu Province and even includes China’s largest salt lake. We will meet you at the Lanzhou airport or train station and provide a pick up back to your hotel. 8:00pm - Return to hotel, rest. 6:00pm- Return to Dunhuang, dinner. One boat ride across Liujiaxia Reservoir to Bingling Temple on Day 1. 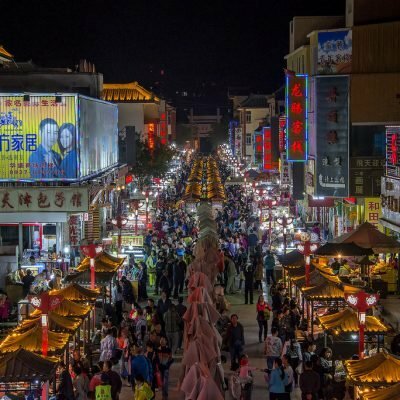 Experienced English speaking guide for 10 days.